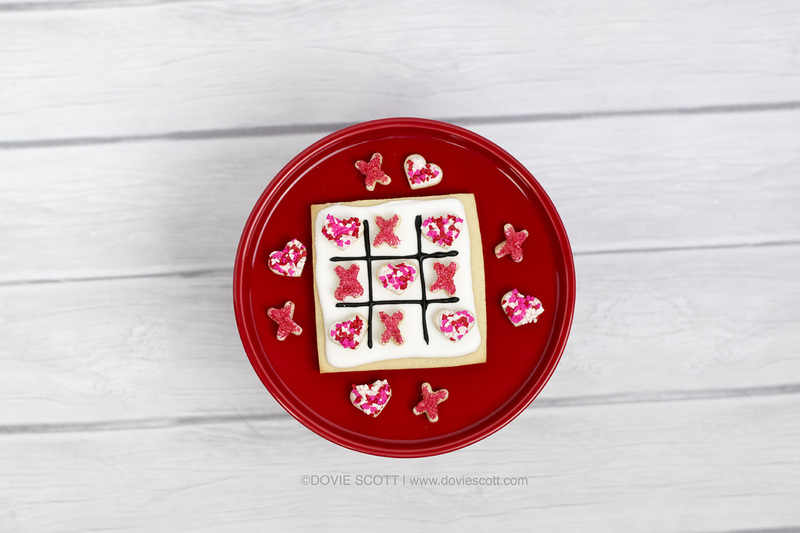 If you are looking for a unique and fun Valentine for your friends and family then these Valentine tic tac toe sugar cookies will be perfect. These aren’t your usual Valentine’s gift. 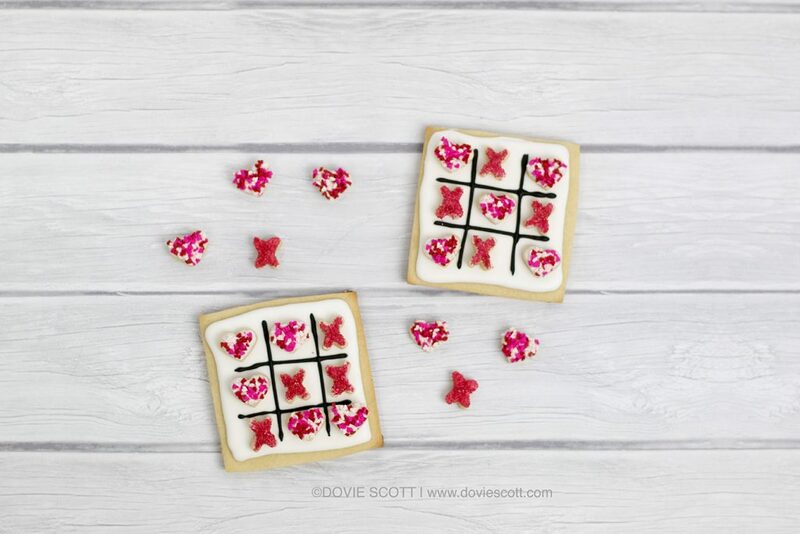 They are tasty and if you don’t mind playing with your food then have a fun game of tic tac toe with your loved one. 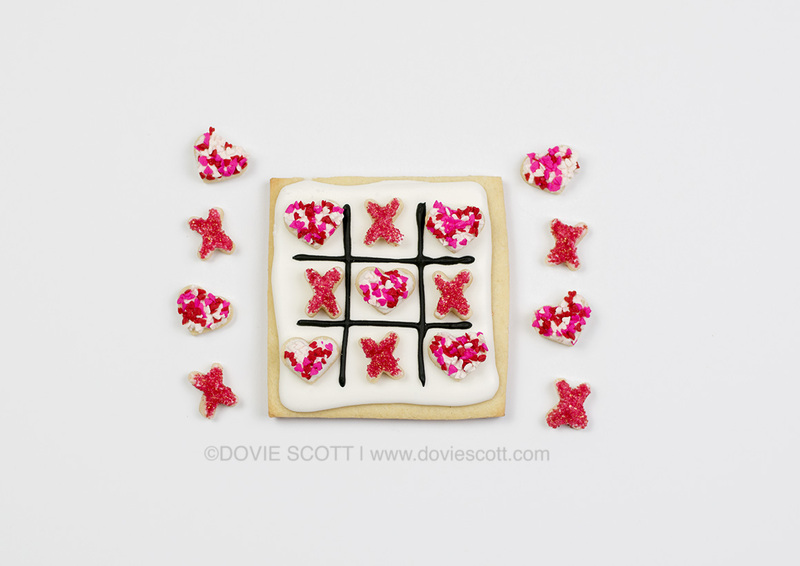 Below you can find the recipes for both the sugar cookies and royal icing. Also, you can find below a video tutorial on how these were made. 1. Pre-heat oven to 375°F. 2. Place butter and sugar in mixing bowl and cream together. 3. Mix in eggs until combined. 4. In a separate bowl mix together flour, corn starch and salt. 5. Combine flour mixture to the creamed butter mixture and beat on medium speed until dough forms and pulls away from sides of bowl. 6. Add in the vanilla extract and mix. 7. Roll dough out between 2 sheets of parchment paper to 1/4" thickness. 8. Cut out your cookies with cookies cutters or free form shapes. 8. Place on baking sheet lined with parchment paper. 9. Bake for 9-11 minutes. 10. Allow cookies to cool completely before decorating with royal icing or butter cream. 1. In a large bowl mix together confectioner's sugar and meringue powder. 2. Add in water and mix with hand mixer or stand mixer with whisk attachment. Check your consistency by lifting whisk (or with a spoon) and drizzle frosting down and the frosting should smooth out within 15-20 seconds. Flood consistency is when it icing self-levels. If frosting is too thick then add in more water. If frosting is too runny then add in more confectioner's sugar. 3. If coloring icing then use gel food colors. 4. Pipe or spread on to cookies. *If layering colors or designs, after 15-30 minutes icing will have formed a crust. Royal icing will completely set in 2-4 hours. Note: This post may contain affiliate links. 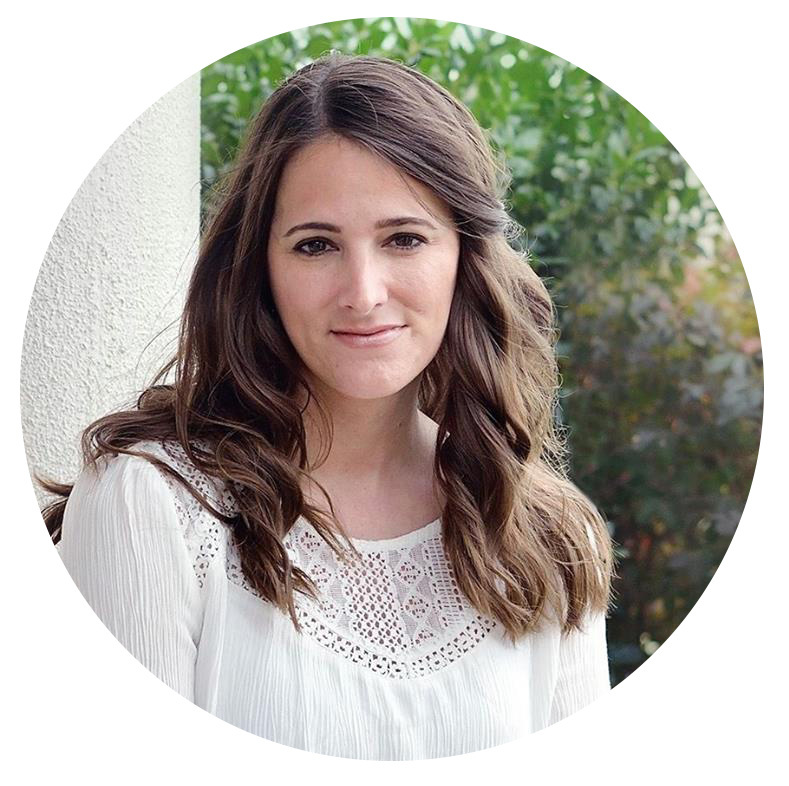 By clicking on them and purchasing products through my links, I receive a small commission at no additional cost to you.